If you are fascinated by weather and climate and have a passion for learning about the environment, you may consider a career in atmospheric science or climatology. Atmospheric science and climatology are challenging and rewarding fields of study that can present opportunities for a number of career paths. 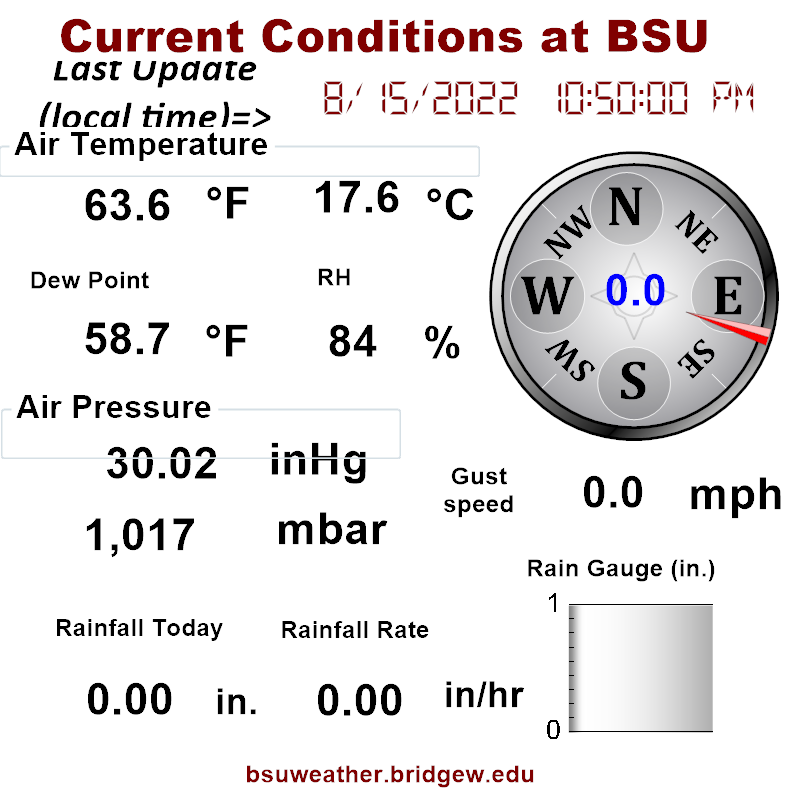 Bridgewater State University offers all the courses in science and mathematics needed to be accepted into most atmospheric science and meteorology graduate programs in the United States. 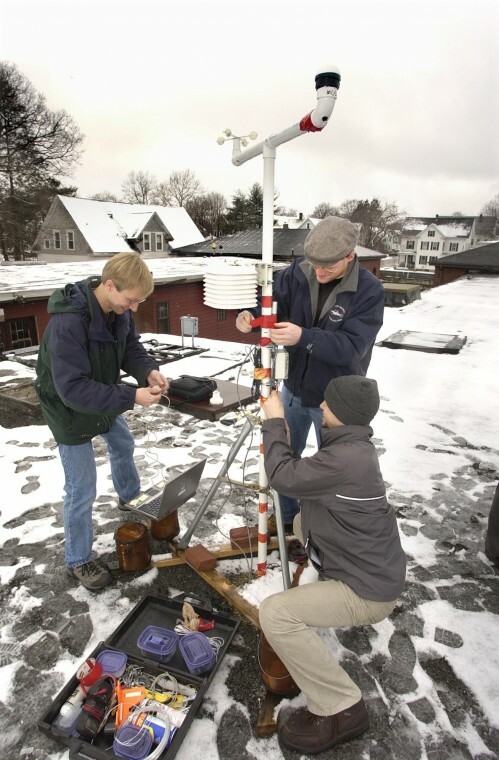 In addition, through the Department of Geography, students are given opportunities through research, independent study, and student employment to gain hands on experience using the tools and techniques of atmospheric science. Among other things, our students have been involved in building and testing new weather sensors, numerical modelling using computer clusters, and even venturing to Peru to upgrade a state of the art weather network. The following courses are recommended as a minimum for students planning to pursue graduate study in atmospheric science or climatology. Depending on your desired path, these courses may be very helpful. What major at BSU should I choose? Choosing a major depends on your interest in atmospheric science or climatology. You will need to take courses in all of these subjects to be successful.